Small mill manufacturers abound, which manufacturer is good? The small mills designed by our company are made of domestic fine raw materials, and incorporate the more exquisite design process of the manufacturer to ensure that every part and every detail of each equipment is more careful and in place to ensure the quality of the equipment. More reliable, maintain its long-term high-efficiency operation, reduce the failure to a lower level, and reduce the cost of repairs and parts replacement by nearly 50,000 yuan per year. 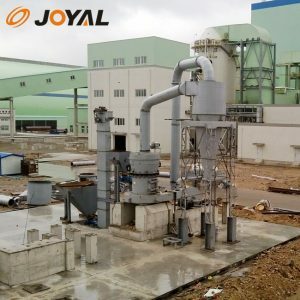 (3) The good quality pulse dust removal equipment imported from Germany is equipped with a silencer system, which completely eliminates dust, noise and other pollution generated during the operation of the equipment, and fully meets the green standard. The price of the small mill is very cheap, and the customer does not have to worry about whether it can be purchased. Because the equipment is developed, designed and manufactured by our company, and then unified sales, no complicated circulation, extra cost, and the price is more cost-effective. More affordable, it is far from the equipment of general manufacturers. In addition to providing good quality,good performance and good price, the manufacturer also provides customers with better, more intimate and more complete after-sales service. Not only technical engineers provide free on-site installation and commissioning, but also regular use of equipment. The return visit survey always maintains its better running state; once the equipment fails, the manufacturer will solve it within 36 hours.